Ten June: To The Window, To The Wall!! Get low, get low, get low. To the windowwwwww, to the wall. Now back, back, back it up. (last weekend)... to the wall (this weekend). someone-I'll cry!" master bathroom renovation post! The most exciting work we did was to install a brand new wall in our bathroom, in the form of a pocket door enclosure to house a little area for the toilet (or as you fancy people say it, the WC). How fabbbb is it?! I really, really love it, people! I am so glad we chose to build this little room. (bought at Lowes)... says the girl who absolutely didn't help in the installation process. David or my bro-in-law, Nate, can fill you in if you have any questions! Is that the beginning of some drywall I see on the wall? Oh heck yes. And... wait for it... we also stocked up on some beaaaautifulll tileeeeee!! and working! How amazing is that?! That's an outlet. With a little green light. Which means it works. As in, my hairdryer is ready to be plugged in! So electrical is pretty much done! We just have to install our new lighting (so cute, get excited!) later this week. Electrical? Check! Another thing off the list. A big shout out goes to David and Nathan- you guys are really amazing!! Missed previous installments? 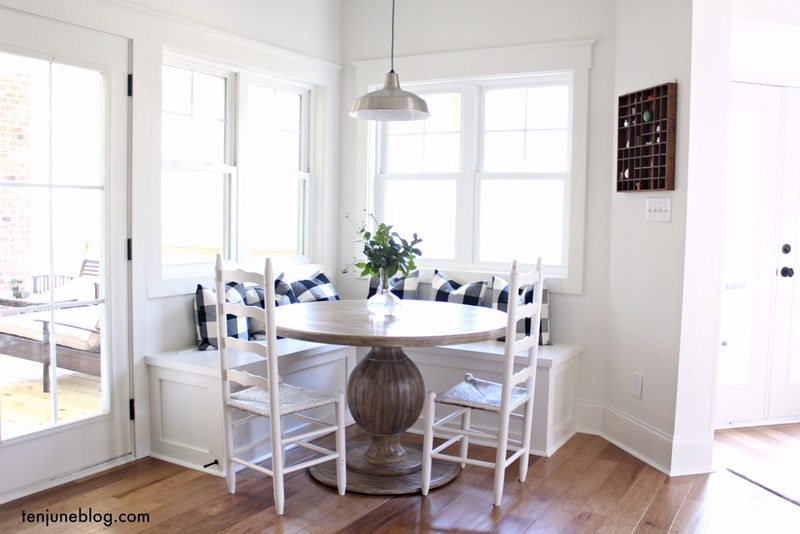 Check out the bathroom plan, my bathroom mood board, demolition, and our new window. To kick off the start of the month, I'm starting a new series. To be perfectly honest, I'm kind of on the iffy side with Valentine's Day. Let's just say that I refuse to let David buy me any teddy bears or red roses. I know, I know- bah humbug! But that doesn't stop us from being sappy year-round. Soooo, in case you are looking for some Valentine's Day ideas (or anniversary or birthday or just an every day kind of I love you), then I've got some great Not-So-Valentiney ideas for you. Can't wait to share! secondly, what a productive weekend you had, my dear! love love love the pocket door...and can't wait to see the final product. those tiles are lovely too! Looking good....you guys made alot of progress! Keep it up! Love love love the Tile choice! I can't wait to see the finished prodcut in the near future. I'm jumping up and down for you! Let me be honest, pocket doors intimidate me, I always thought they would be really difficult to install. Love, love puffy heart the tile. I am so impressed that you and your husband installed your own pocket door! We have one going into our toilet area and it is a privacy must now! Kind wait to see the rest. Awesome! I bet you are thrilled with the progress! We are doing a mini remodel of our masterbath. We got the tiled laid today, and I am so happy! I can't wait to see your finished bathroom! you totally just brought me back to sophomore year of college in a beer filled basement house party with the lil' wayne reference :) yay for all the progress! First off, love the song. I always think of The Proposal when I hear it (: And now I'll think of you, too. You made huge progress, girl. I bet you're so happy. The hearts made me laugh! Can't wait to see what you have up your sleeve for the series!! Glad you stopped the lyrics before the um, well you know, part. :) Love the tile sneak peek and the pocket door looks awesome! 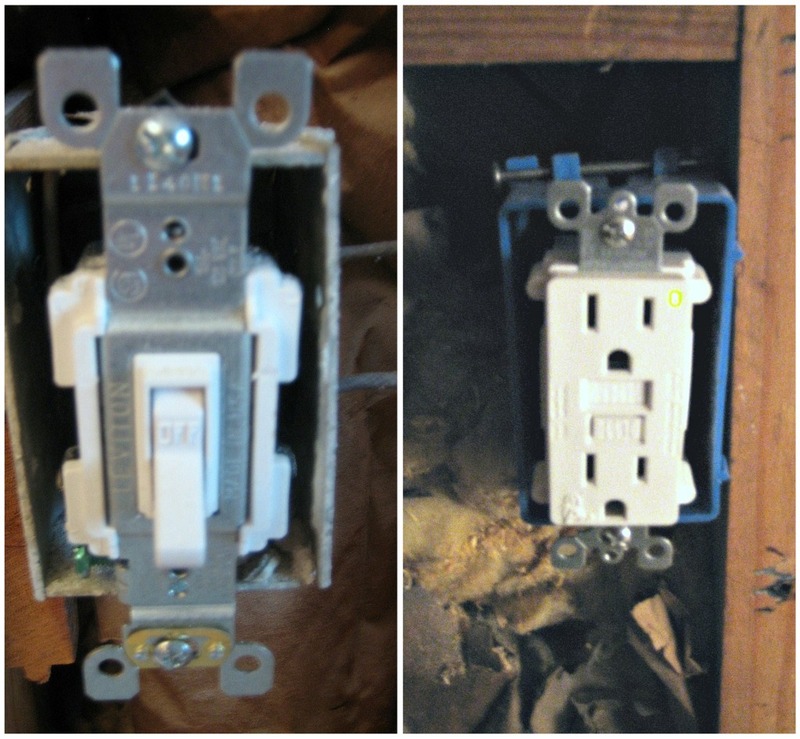 Completing the electrical is a huge step! Looking forward to seeing your fixture. Can't wait to see your Valentine's ideas! LOL on Emily's comment. Will be singing this song all night. Thanks girl! So excited for you. You can feel your sense of relief and accomplishment jump off the screen. I love how putting in the pocket door was a piece of cake . . . for the boys, that is! Excited for your new series. I am with you. Would love to see us all dancing to that song right now! Yay on your new door! It definitely took me a few minutes to sing that song in my head before I could concentrate on your post! Haha!! I'm so excited for the progress that y'all have made!! Congrats!! It is looking so good and is only going to look better!! It's fantastic...really. Kitchen remodel in T-minus 13 (ish) days and counting. I can't wait to share with you! And no, we don't celebrate Valentine's or Sweetest or whatever other Hallmark holiday has been created. We do the sappy love bit all year long. Ok your post title has me dying laughing! My husband loves Little John, I almost bought him a goblet last year for his birthady to put his crunk juice in! So excited about your bathroom! Its going to look awesome! What great progress! I wish I had some of the same 'mojo' you did this weekend. We got nothing done with our bathroom :( Oh well.. here's to next weekend lol! [Thanks for the Lil' John flashback haha]. love that door!!! you must be getting excited at the progress. Wow...you guys made a ton of progress! Love the pocket door. I have always wanted one!!! Wish I could say we were productive this weekend, but we couldn't resist the nice weather and went downtown to Atlantic Station for the day Saturday, thinking we'd get stuff done Sunday. Only to end up in two ERs (long story) with our oldest all day!!! I think we have the same music taste :) That song makes me think of the movie White Chicks :) Your bathroom is turning out beeeuuuutiful! The pocket door rocks- props to your hubby. Who needs roses when you got a man to do your electrical work- now that's love! I (heart) the pocket door. It's going to be amazing. Looking forward to your blog series. Have a great week!! I agree. It's going to look great! !